THE BFF BUCKET LIST by Dee Romito … cover reveal! 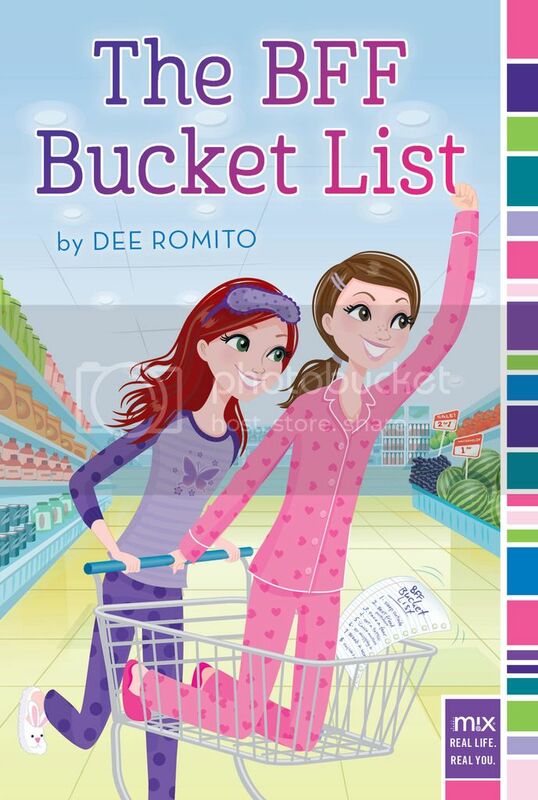 Dee Romito’s middle grade debut, THE BFF BUCKET LIST, won’t be out in the world until May 2016, but it’s now available for pre-order!! And today, she’s revealing her cover! Ella and Skylar have been best friends since kindergarten. Although lately, things have been different. Ella’s determined to fix things with a fun project she’s sure will bring them closer together—The BFF Bucket List. But as new friends, epic opportunities, and super-cute boys enter the picture, the challenges on the list aren’t the only ones they face. And soon you’ll be able to join the fun and try out the Bucket List Builder over at TheBFFBucketList.com! Sign up for Dee’s newsletter to be notified when it’s ready. 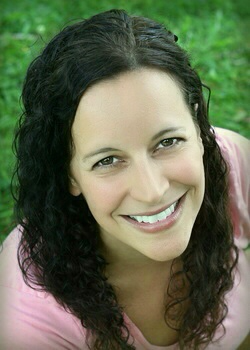 Dee Romito is an author, elementary teacher, and educational freelance writer. Her middle grade debut, THE BFF BUCKET LIST, will publish with Simon & Schuster/Aladdin in 2016. She blogs about writing at I Write for Apples, where she and her team share tips to help fellow writers. Popular features include the Query.Sign.Submit. interview series with publishing professionals and easy-to-follow Scrivener tutorials. Dee is a member of SCBWI and Co-Advisor of Buffalo-Niagara Children’s Writers and Illustrators. You can visit her website at DeeRomito.com. Or find her on Twitter @writeforapples. I love it! It looks great! I’ve always liked how supermarkets are portrayed, w/everything all nice and tidy. And who doesn’t like to goof around w/the carts? Lol! 😉 Congrats to Dee! Yes, I love that, too! And the pajamas!!! I love Middle Grade, and I love this cover! Ah! I love the cover, it’s so cute. And if one of their bucket list items is a pj shopping trip I second that. It’s a good thing to do one in awhile.